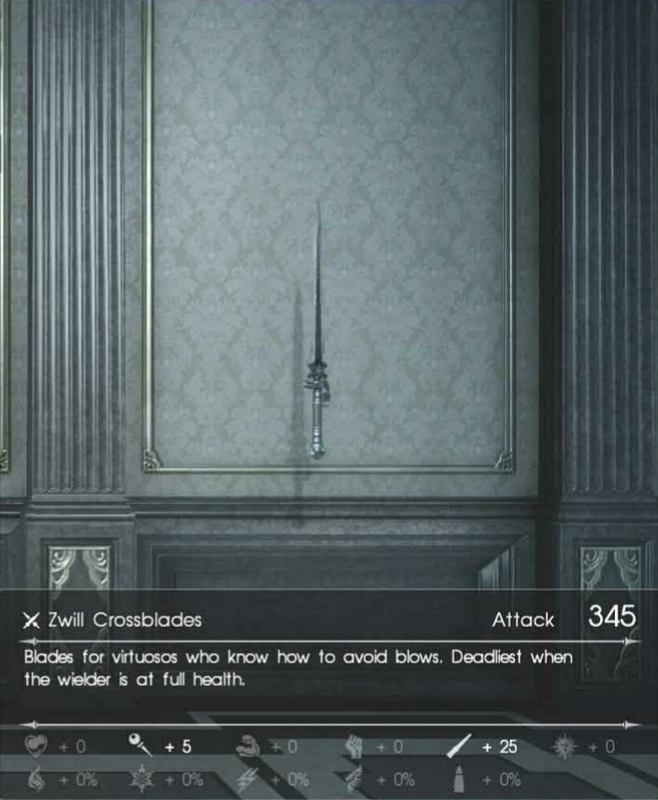 Zwill Crossblade is a Weapon in Final Fantasy XV. "Blades for virtuosos who know how to avoid blows. Deadliest when the wielder is at full health."